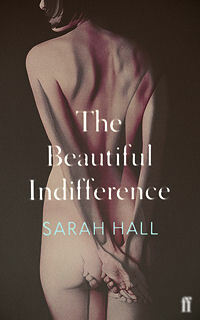 I am one story away from the end of Sarah Hall’s collection The Beautiful Indifference. I’m late to pick up on how challenging, honest and brutal Hall’s stories can be but I am savouring every one. Difficult to do as a short story fiend but this is a collection worth time. Adding to my reading excitement, two of my most favourite authors have new books out this week. Ali Smith with her Booker short-listed How to to be both, and Margaret Atwood’s new collection of short stories, Stone Mattress: Nine Tales. You know where to find me on Thursday when these hit the bookshelves. Whilst considering my next moves for my first novel and the second one which is becoming louder, I’ve been delving into philosophical discussion on how we develop as writers and as humans. We are Verbs is my favourite so far. This week I’ve been taking part in The Write Track‘s trial of audio writing exercises. 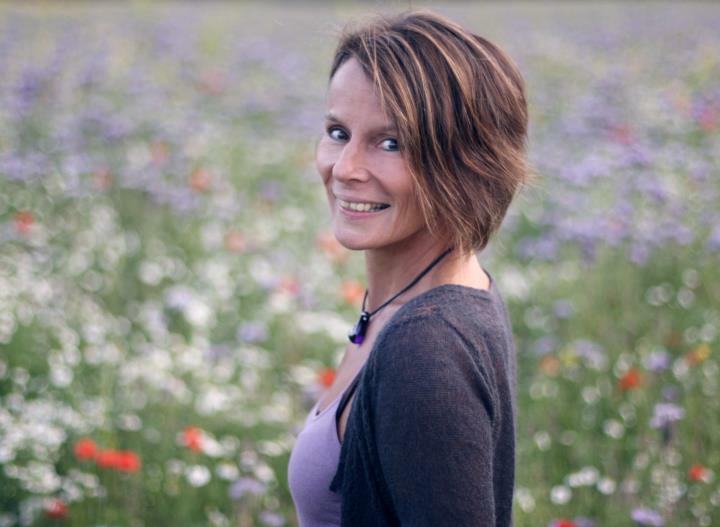 Led by novelist and top creative writing tutor Julia Bell to work out if writers find audio exercises useful, the idea is to take exercises out of the classroom and into people’s lives as they live them, kind of like a pocket writing coach. 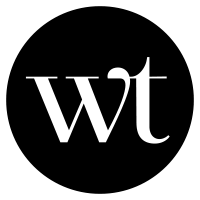 Soon their the goal-setting community for writers will be launched online – if this trial is anything to go by, this will be an exciting community to be involved with. I would love for find out what is inspiring you at the moment – please use the comments box for links and feedback. I don’t remember a time when I didn’t tell stories. Whether I was writing poetry at school, or creating stories for my brothers, or those first fledgling ones that I imagined whilst being read to. One of my first memories is correcting my mother when she added different words as she read. Yes, I was an editor from a very young age. I loved stories that much. I love going to readings and events, to be read to again as we once were and to be inspired by writers – whether they be all time greats or début. 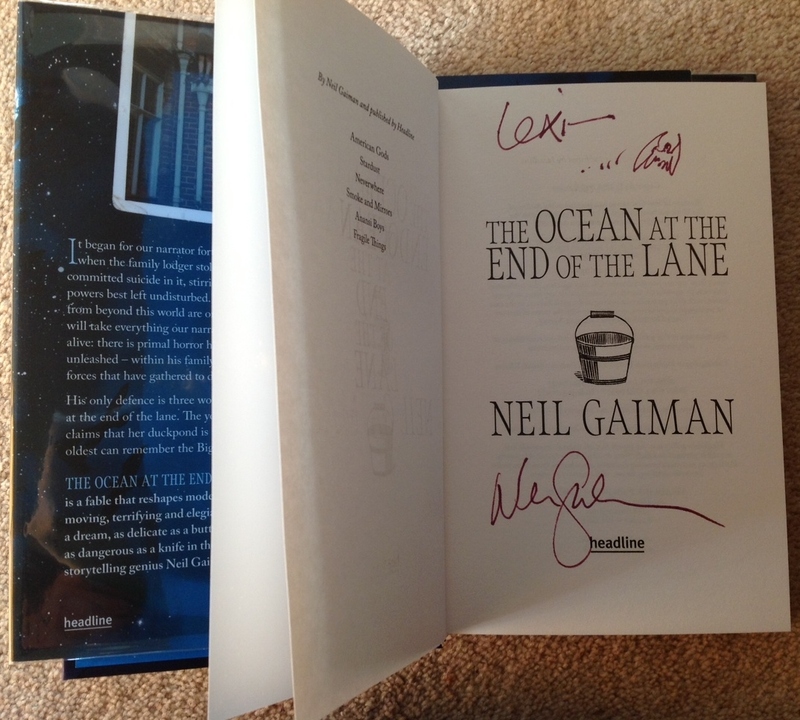 One of my favourite bookshops, Toppings of Ely, has put on some great events this summer – including the Neil Gaiman event for The Ocean at the End of the Lane last Tuesday. In relative terms, I’m a newbie to the following of writers who are inspired by Neil Gaiman’s work. When dating my wife, she presented me with a copy of Neverwhere because she knew I loved stories and she knew seeing London in this completely new way would spark my imagination. Now, no matter our distinctly different reading tastes, we always have a shared love of his work. His short story collection Smoke and Mirrors inspired me during my B.A. with writing that pushed boundaries and broke the rules in a very mastered way. So it was no surprise when we saw that there would be reading relatively close to us, we jumped at the chance. The two of us and a friend, who has as much love for Gaiman’s work, met at 6pm in Ely thinking arriving early would ensure us a good place. We were in a good place. 382-384 in a queue of around 1000! As expected, the reading was wonderful. Gaiman has a brilliant reading voice, which he confessed is a mixture of learnt and natural – a description that sums him up completely. I have continued reading The Ocean at the End of the Lane with the Hempstock’s Surrey accent firmly set in my mind, which I love. Everyone who waited for their signing did so with pleasure, and we were all thankful that Neil would stay until everyone had their book signed. I’m not sure what time it finished, but given our position in the queue and that we spoke to him at around 11pm I can’t imagine that it ended any earlier than 1am. We watched the bats flying overhead through Ely Cathedral, talked about all his other works, and had conversations with complete strangers about cult films (there aren’t many places you can have a serious conversation about The Princess Bride. Believe me. I’ve tried). I was always going to be pleased about getting my copy signed – we spoke about the bats, and then he drew one for me. But nothing compared to getting a copy of Chu’s Day signed. We hope to have a child in the future, and we would always encourage them to read Gaiman’s work but how cool will it be to read them their first signed edition! And with such an important inscription. This weekend, we’ll be back in Ely and I’ve got another picture book for signing. 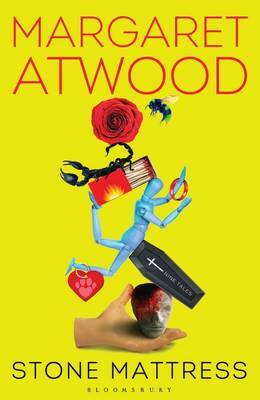 This baby is going to be well read – Margaret Atwood’s Up in the Tree is next! There is always room for a little (or non-specific sized) one in this family; it is a family, a professional networking family of writers that I have been involved with since 2006. The school has just celebrated its 65th year and it is still going strong despite rising economic problems. Delegates catch the bug known as “Swanwick magic” which may sound cheesey but is unavoidable. This magic is made by group meals where you discuss the day’s experiences, a wide range of courses and workshops that ensure any fledgling or experienced writer has the opportunity to develop their skill set, and inspirational speakers covering topics from the journey to screen (Deborah Moggoch & James Moran this year) to creating young adult fantasy fiction (Curtis Jobling did this perfectly after he stopped wowing us with his drawings and animations). But the real magic is in the people. There are very few boundaries between writers – be that in experience, age or background. For a week you are simply a writer and that is the most freeing opportunity of all. I spend a lot of time with other writers at literary events etc and although there is a level of honesty about our work and lives, this does need to be built up over time if and when we see those friendly faces. Swanwick on the other hand is an intense week of relationship building. Swanwick is full of authenticity. Networking is done casually but with your annual return there are those that you want to see again and again. When there are 200-300 delegates you are bound to find someone or many on your wave length. As a course leader and 1:1 mentor, there is a certain level of professionalism that I hope I adhere to. However, that did not stop me from letting my hair down at the last night disco or staying up until 2am talking with agents and writers alike. In fact I think this year, an early night was considered to be around 1am, and yes, I was up and at breakfast by 8.30am. Perhaps adrenaline is another part of the Swanwick magic! It’s also worth mentioning that even with all the teaching/mentoring I was involved with, I also started my next novel (2999 words on the procrastination free day) and worked out that I also want to screenwrite (more on that soon). You will leave Swanwick with a notebook full of ideas, and iPad (or any other device…!) that won’t stop pinging with follows and friend requests, and friends that you cannot imagine your writing, or otherwise, life without. If you’d like to find out more about Swanwick, take a look at the website, follow them on Twitter, or like them on Facebook. The next Swanwick Writers’ Summer School will run between the 9th and 15th August 2014. Today is a day of moments: the moment you can run between the car and house without getting soaked; the storms that rage are highlighted by flashes of blue sky. Can you tell the pathetic fallacy is getting to me as much as the rain? Today is National Flash Fiction Day and the weather is allowing me to indulgence in a couple of wonderful collections that we ought to all share. 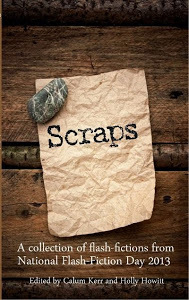 First up, Scraps, the second official anthology for National Flash Fiction Day. I talked about Jawbreakers last year and if you haven’t got it yet then buy it now as even if it wasn’t in a free promotion until Monday 24th it would be very much worth the money. Anyway, back to Scraps. The collection features stories from Jenny Adamthwaite, Jenn Ashworth, Oliver Barton, Alan Beard, Natalie Bowers, Cathy Bryant, Joanna Campbell, Nuala Ní Chonchúir, James Coates, Claire Collison, Chris Connolly, L.A. Craig, Judy Darley, Ariel Dawn, Vanessa Gebbie, Kylie Grant, David Gullen, David Hartley, Kevlin Henney, Tania Hershman, Sarah Hilary, H Anthony Hildebrand, Eva Holland, Holly Howitt, Thaddeus Howze, Anouska Huggins, Claire Ibarra, Paul Kavanagh, RM Kealy, John Keating, Calum Kerr, Clare Kirwan, Mark Kockelbergh, Emma J. Lannie, Cathy Lennon, Beverly C. Lucey, Amy Mackelden, R A Martens, Ana Martinez, Thomas McColl, Stephen McGeagh, Danielle McLaughlin, Siobhán McNamara, Freya Morris, Andrea Mullaney, Clay Norman, John Paul O’Neill, Sonya Oldwin, Jim O’Loughlin, Amanda Oosthuizen, Jonathan Pinnock, Dan Powell, Amanda Quinn, Eabha Rose, Sam Russell, Shelley Day Sclater, Emma Shaw, Ian Shine, Diane Simmons, Tim Stevenson, Becky Tipper, Stella Turner, Tracey Upchurch, Bart Van Goethem, Alison Wells and Brendan Way…wow sorry, I ran out of breath too. This collection has entertained, challenged and developed me in one afternoon. I no doubt will go back to it again and again as I do with Jawbreakers, but the stories that have captured me this afternoon are Finding Trainspotting by Clare Kirwan, Bright New Morning by Joanna Campbell, Feed a Fever by Freya Morris, Planets by Vanessa Gebbie, and The Short Tree Has its Hand Up by Tania Hershman. In fact I could probably go on about every single one of the stories but do us both a favour – buy the book and comment below, I’d much rather chat about it! As ever, these collections allow readers to explore new writing and new writers and I can’t wait to find out what else is available from these authors. 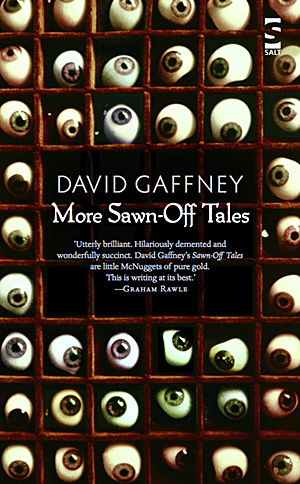 Next is More Sawn Off Tales by David Gaffney. Following on with the tradition of secondary collections of flash fiction to prove their importance, this collection sequels Sawn Off Tales (2010). David’s works stretches storytelling and twists language within the tiniest of forms – even the titles could be, and have been, described as miniature works of art (Thanks Emma Jane Unsworth for that review!). It’s a collection that leaves you feeling slightly unsettled as though you have seen more than you ever thought you would, even though the sights were within a blink of an eye. If that’s not enough to make you run to the nearest bookseller, Salt sums Gaffney up as an “expert miniaturist with the ability to stuff an elephant inside a flea without the insect noticing…”. I think that should do it. And lastly, a website which everyone should get well acquainted with: Flash Flood. 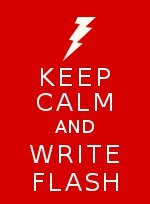 The site is literally being flooded today with flash fiction selected from entries that were submitted in the last week or so. It’s a fantastic place to find new writers whether debut in general or just missing from your shelves. So take a look a look around, wallow in moments or in the case of Paul McVeigh’s Safe – sit open mouthed in wonderful horror. Andrew Kaufman was born in the town of Wingham, Ontario. This is the same town that Alice Munro was born in, making him the second best writer from a town of 3000. Here in the UK, his previous work, All My Friends are Superheroes, The Waterproof Bible, The Tiny Wife, were joined on 3rd January by the release of Born Weird. The five siblings of the Weird family find that they have been cursed by their grandmother, Annie Weird. Richard, the oldest, always keeps safe; Abba always has hope; Lucy is never lost and Kent can beat anyone in a fight. As for Angie, she always forgives, instantly. The narrative is led by Angie as she pulls her family back together to save them from these blursings (blessings turned curses) before Annie dies, properly this time. 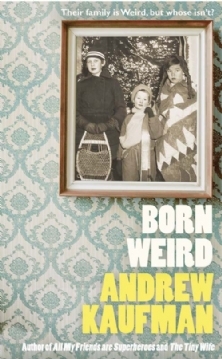 Alexa Radcliffe-Hart: Hi Andrew, thank you for taking the time to talk about Born Weird. Firstly, l’d like to say how much I enjoyed reading Born Weird, along with your other work. The ability to reimagine and create fresh fables seems to be something that naturally occurs for you. Is this your not-so-secret superhero power, or are you inspired by any particular writers who also have this skill or indeed current culture in general? Andrew Kaufman: Honestly, I’m not sure where it comes from. Certainly the writers I love reading the most, Kafka, Chris Adrien, Amiee Bender, Kurt Vonnegut, are prone to exaggeration and fable-making. I just feel that metaphor and allegory are actually better at capturing real-life than realism is. To me realism can convey what the world is like, but magic realism can convey what it feels like to live in it. ARH: That’s possibly the best description of the importance of magic realism that I have ever heard, thank you for that! I’ve read that you have an interesting relationship with your characters whereby, even though they may be some small part of you, you don’t always like them and they don’t like you. Do you find it easier to write from the viewpoint of a character that you dislike? And how do your writing processes differ between those you like and don’t like? AK: Sometimes my characters are based on something I don’t like about myself. Working through their story is a way for me to work through this part of my personality. So, obviously, it is much harder to work with these characters because I’m actively trying to get rid of them. I want them gone! So it’s much harder to get any compassion going for them, to see where they’re coming from and understand them. I think that writing in the third-person, which I mainly do, which allows me to write from the perspective of the story-teller and not the characters, helps a bit too. ARH: As you say, you tend to write in the third person but I felt that Born Weird is naturally led by Angie. However, that does not stop the other four siblings from being equally important. I was particularly drawn to Richard with his need for safety and Lucy’s inability to get lost. Did Angie lead the narrative from the beginning of the writing process or was it someone or something else that made you create the Weird Family? AK: It was always Angie. She came first. The writing of this book was really improvisational – I didn’t make an outline and I wrote each plot point as I went along. It started the idea of the Blursings (Curse+Blessing) and I knew from page one what each of the siblings was blursed with. But as far as knowing who they were and how we were going to meet them, even the whole Dad thing, all that was something I stumbled across. I’m really happy to hear that you enjoyed Richard and Lucy as much as Angie. I wanted each sibling to feel as important as the others. I think this makes them really feel like a family. ARH: How do you create a sentence in which words resonate with a reader, to the extent that he or she describes a feeling exactly – not a physical sensation but a private thought and/or emotion, that when read, makes one realise that one is not alone in this world? I think you have a particular skill for this, but this may be a subjective experience for each of us and is not replicated for all readers, or is it? AK: My strategy is pretty simple — use as few words as possible and keep myself as the writer out of the way. Because the things that resonate with readers are pretty simple. Stuff we feel every day, intensely. So I just try to state them simply, unadorned. And maybe, on a good day, in a way the reader hasn’t thought of yet. ARH: Quite often it’s the simplest of strategies that get lost whilst we’re trying to create but forgetting what we really want to achieve; that connection with the reader. What is the worst assumption any aspiring writer can make about their work? AK: That it won’t get better. It’s essential to set your standards high, but I’ve seen a lot of writers get discouraged and give up before they meet them. ARH: So to keep them on their journey, what is the most important book any aspiring writer should keep by their side? AK: The Elements of Style, William Strunk/E.B. White. Everything you need is right in there. ARH: Ah, the much argued over “bible” of writing! Your website provides some wonderful insight into your writing and what provides inspiration for your imagination. My favourite of your favourite things, is the invention of new words. Along with blursings, featured in Born Weird, I particularly like lucased. To achieve a degree of success that no one will tell you when you’re failing. So, lastly, are there any other new words you’d like to share? AK: Breadsinner – the guilt felt by a man who stays home and takes care of the kids while his wife goes off to work. Digipearred – The use of technology to avoid real-life conversations and emotions. The English language is missing so many words. Remember that dictionaries are products. Their authority on what words are valid is completely self-serving. Everyone should start making their own right now! ARH: I think we’ll all be investing some new words from now on with that kind of inspiration! Born Weird is available from 3rd January 2013 in hardback. If you’d like to hear Andrew read, he will be doing an ‘In Conversation With’ and signing at Piccadilly Waterstones on Wednesday 16 January at 6.30pm, and visiting ‘The Firestation Book Swap’ in Windsor on Thursday 17 January from 7.45pm. 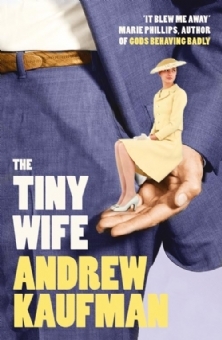 Also launched last week was the paperback release of The Tiny Wife; a beautiful and delightful novella where a thief robs a bank in the West end of Toronto, but instead of taking money he demands – and receives – the item of most emotional significance from everyone. Claiming he’s taking 51% of their souls with him, it’s up to those robbed to grow them back. Although it’ll sound very strange, this is possibly the most beautiful love story ever written; doing what Andrew does best – conveying what it feels like to live in the real world, with a little bit of magic. …from 2012 and coming in 2013. As we shuttle towards the new year, here’s some recommendations to add to your library. (come on, you know those Christmas pennies are burning a hole in your pocket). For those whose new year resolutions revolve around reading a short story every day, start here. Sarah Hall describes this collection of stories as “strange and lovely masterpieces”, for me they are things of wonder, unusual beauty and inspiration. This novel is astounding, simply astounding. The Bellwether Revivals is an intricately written exploration of an outsider, Oscar, entering the strange yet fascinating world of the Cambridge student family of the Bellwethers. The characters stay with you long after the pages are closed, and the fantastic and real world of the musical and medical opens your eyes to new possibilities and realities. Another musically inspired novel, Jane Rusbridge’s second novel Rook is simply stunning. You are dropped into the deep and muddy depths and allows you to explore the characters’ like hidden artifacts with the changing perspective of time. There’s much more information on Rook on the review and Q&A posts on this blog. 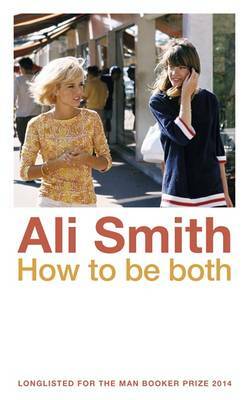 As always, Ali Smith strives to ensure her work is not constrained by restrictive boxes for genre and style. Artful is a collection of essays intermingled within fiction, full of inspiring ideas and information as well as a little bit of the fantastic with a creative view of change and handling love and loss. I’ll be writing another post on this shortly as I think this is perfect for any literary writers, as well as generally being an insightful read. Stories are made to be heard, and this fantastic collection is another to dive into for the New Year. This collection includes stories by: Judith Allnatt, Jo Baker, Claire Baldwin, David Belbin, Kathleen Bell, Will Buckingham, P. J. Carnehan, Ailsa Cox, Katy Darby, Louis De Bernieres, Vanessa Gebbie, Denise Hayes, Tania Hershman, Jane Holland, Panos Karnezis, Hanif Kureishi, Joel Lane, Emma J. Lannie, Ian McEwan, Blake Morrison, Adele Parks, Simon Perril, Alexandros Plasatis, Kate Pullinger, Adam Roberts, Catherine Rogers, Lee Rourke, Salman Rushdie, Gemma Seltzer, Robert Shearman, Felicity Skelton, Karen Stevens, Jonathan Taylor, Maria Taylor, Sara-Mae Tuson, Deborah Tyler-Bennett, Michelene Wandor, Aimee Wilkinson. A long list, and I for one cannot wait to hear as many of the stories aloud at the launch on the 8th January 2013 at The Betsy Trotwood. “The Weirds have always been a little off, but not one of them ever suspected that they’d been cursed by their grandmother.” Blessings that are really curses take their part in the five Weird children’s lives, and they resolve reunite the family and all their “blursings” before their grandmother dies, properly this time. This novel, due to be published on 3rd January is simply, but strangely affecting, it plays with language and possibilities until they are reality. This second edition of the original guide to writing will be published on 15th April 2013, with new essays to bring up to date insight into the world of the short story. 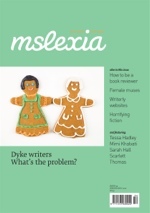 Each essay from a writing expert discusses their writing processes, whilst they share tried and tested writing exercises alongside lists of published work they find inspirational. So these are my recommendations, but what are yours? Today Jane Rusbridge, author of The Devil’s Music and her latest novel Rook, joins me to provide insight and understanding into her literary world. Alexa Radcliffe-Hart: I had the fortune to be taught by Jane and one of the main writing points she impressed on us was that of following your intuition and your obsessions. I remember seeing Jane at WordFest, Cambridge’s Literary Festival, around two years ago where her then obsession was rooks – look where this has led her! Jane, how did the rook obsession begin? Jane Rusbridge: My ‘obsessions’ give me clues as to what to write about. Or perhaps that’s too self-justifying? Perhaps it’s just that I hugely enjoy finding out more about random things, and the unconscious ‘prompt’ theory is just an excuse. Whichever it is, research into something new seems to allow space for synchronicity to works its magic. My preoccupation with rooks grew from noticing them busy building nests in the trees overhead as I drove to and from work one spring. I asked my husband if there were more that year for some reason. He said no. He isn’t that keen on them, being a farmer, so he had a bit of a rant which included some stories about the pet rook his mother kept in the kitchen when he was a child. He hated that rook. I read Mark Cocker’s eloquent book Crow Country , published that summer, and found his passion for corvids infectious. Cocker set me off to search Norfolk for the place he describes – without naming – where you can see thousands and thousands of rooks come in to roost. Standing beneath a sky beating with wings, surrounded by the rooks’ exuberant cacophony, was exhilarating. I wanted to capture that for my final scene. ARH: Which just shows how much beauty and inspiration can be found in synchroncity, given the chance. I’m fascinated with the process of imprinting that underlies within the novel, was the purposeful, i.e. did you research this particularly, or did it naturally occur? JR: On the whole, I dislike birds in captivity and have never handled a tame rook. However, we used to incubate and hatch duck eggs when the children were small, so I have witnessed birds imprinting at first hand. The ducklings would greet the girls when they came home from school and follow them around the garden, peeping madly. Esther Woolfson, in Corvus: A Life with Birds, describes how her imprinted rook behaves towards her. Unless you are prepared to commit to that relationship in the way she has, it would be cruel to take one on as a pet, for whatever reason. A rook can live for 30 years – it’s not just for Christmas. ARH: The parallels that are drawn between Nora and Rook are exquisite and heart rendering. A silent rook would not survive as Nora cannot without music. How did Nora’s characterisation as a cellist develop? I was a musical child, playing the piano from age about 5 and later the flute; singing in various choirs. At 12, something happened and, for whatever reason, my confidence vanished. I more or less stopped playing. When I started writing Rook, I was reading neurologist Oliver Sach’s book Musicophilia: Tales of Music and the Brain. It got me thinking about our mental connection with music, and I’m guessing my own loss, combined with reading Sach’s case studies, could be why the first thing I knew about Nora was that she was a musician who had thrown in her career. She was a concert pianist, until someone told me the cello is the instrument closest to the human voice. This was a bit of a nuisance. I knew nothing at all about the cello. But she had to be a cellist because, at the beginning of the novel, Nora is ‘silenced’ by her experience – just as Rook has been – and her story untold. She won’t get her ‘voice’ back until she plays again. ARH: It’s the characters that make you work the hardest as a writer that make you the most passionate. As a reader of Rook, one of my favourite characters is Harry, with his silent strength and colourless paintings. The use of colour throughout is clearly important from the lack of in Harry’s paintings, Rook’s black plumage and the eyes that haunt and follow Nora: “colours spray like exploding dahlias”. How and why is colour important to you as a writer? Though at first not intentional, once I’d noticed that black/white had become a kind of motif, with the rooks and swans, and Harry’s sol y sombra, the colour thread was developed consciously with redrafting as a way of sewing the various narrative strands together a little more. And the book, in more ways than one, is about being haunted by ‘shadows’, about living a ‘colourless’ life. ARH: Your preoccupations clearly make your writing all the stronger and as a reader, we too are drawn in. There is beautiful imagery between the rookery and the church, the deathly atmosphere and abandonment almost interchangeable between the two. And of course there is the depth of the historical facts and archaeological background which is delicately woven in. Research must have been vital to the novel. How did you find out about these subjects and research them? JR: Research was literally ‘vital’ to the novel in the sense that it brought the story to life. I began in Bosham church with a pamphlet written by local historian John Pollock, who argues that a stone coffin unearthed in the 50s contains Harold II’s remains. And then, as I experimented with scenes and characters and voices, I read widely: the church archives, which were full of stories; about Saxon warriors, the Godwins, and Bosham’s nautical history ; about rooks, cellists and mud. ARH: It’s wonderful to hear that within research, you can follow so many paths in order to develop your writing and the characters. Even mud! As a writer, I found it was important how Nora’s thoughts spring up from the narration to hang in the air, ever present. The swift manoeuvre of past and present guides the reader through Nora’s mind without force or confusion to the reader; shrinking both time and distance. My last question, what advice would you give to writers looking to tackle such expanses of time and information whilst relaying such interesting characters? JR: I started, as I usually do, with writing random scenes and no firm idea of the characters. With Rook, there seemed to be many stories vying for attention. I played about, experimenting with the 3rd person, thinking about which tense to use for the bulk of the narrative, finding out about my characters. We are often ‘told’ not to this with a first draft, but I edit imagery, words and sentences as I go along. Getting the language as good as I can manage helps me think better. I discovered that when Nora distanced herself from something, it worked best in the past tense, whereas Ada’s memories of her past are often so vivid to her they take over, so need to be told in the present tense to suggest that. It’s tedious when people make pronouncements about the present tense being a ‘fad’. We have different tenses, why would we not use them? Why should we not try them out as tools? The present tense is nothing new. Not liking novels written in the present tense is merely a question of personal taste. In Rook, I wanted to maintain fluidity between past and present tenses as way of suggesting, through form, the connections between Nora, Ada and Edyth, whose stories are connected even though separated by time. My advice? The chaos of a first draft can be frightening but don’t let that stop you. Make a mess, experiment. Allow yourself time to see how things come together as you write. ARH: Wow, that’s excellent advice! Thank you so much for giving us insight into the writing process as well as Rook. Jane can be found at www.janerusbridge.co.uk, on Twitter and Facebook. Rook can found at Amazon, Waterstones and hopefully your local independent bookshops too! If you’d like to read my review of Rook, please check it out and feel free to add your comments! If you follow me on Twitter, or are friends with me on Facebook, you may well have noticed me making a fair amount of noise about a new novel. 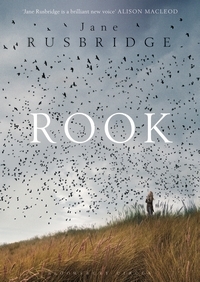 And there is good reason for it, Jane Rusbridge’s second novel, Rook, is quite simply stunning. The novel drops you into the deep and muddy depths and allows you to explore the characters’ like hidden artefacts with the changing perspective of time. I found that Nora’s story is displayed from everyone else’s view – Issac’s teachings, Eve’s all seeing eyes, Ada’s secrets – even though she is central to the novel and leads the third person perspective naturally. The musically inspired descriptions, even when Nora is not present, allows her presence to be felt throughout Rook. The way in which the dialogue flows from summaries into direct speech draws the reader into the intimate conversations without redirection. Colour, along with music, features heavily – from Rook’s black plumage, Harry’s colourless paintings and the eyes that haunt and follow Nora. Following the final breakdown of her relationship with Issac, Nora hides in the relative safety of her family home however she finds that her mother is determined to change for the future although this leads to a digging up of the past. The puzzling child-adult shifting between Nora and Ada pulls you into their relationship, with a subtlety which provides familiarity to many reader’s own experiences I’m sure. The unfolding of other relationships allows you to discover the new with Nora whilst the hidden past is also uncovered although at a different pace. The swift manoeuvre of past and present guides the reader through Nora’s mind without force or confusion. Nora’s thoughts spring up from the narration to hang in the air, ever present. By shrinking both time and distance, Rook is a novel that speaks to generations and educates on both historical fact and fiction whilst exploring characters that speak directly to you. There’s so much more I wish to say about this novel and I hope to bring Rook insights direct from Jane Rusbridge in the coming weeks, but in the mean time – celebrate today’s publication day by purchasing the beautiful Bloomsbury Circus paperback edition. This is a blog that has been waiting to be written for a couple of months, but it’s never too late for a whirlwind catch-up. Whilst I’ve been quieter on here, I have been inspired by so many projects that I want to spread the word about. Starting April, I was thrilled, educated and entertained at Literary Death Match on 2nd April. This LDM celebrated Picador’s 40th birthday at Kings Place with beautiful book bags to carry home memories of book swapping in the pub afterwards, following the tales spun and judged with the winner then ultimately decided by a mad game of Cadbury Egg 10-Pin/Book Bowling between Will Le Fleming and Marie Phillips. The four authors were judged by DJ Taylor, Jon Ronson and Jane Bussman. In round one, James Smythe read an excerpt from his upcoming novel The Testimony, followed by Will le Fleming reading an excerpt from his novel, Central Reservation. Then, in round two, Naomi Wood read from her debut novel, The Godless Boys, with Marie Phillips then reading a fictional (a little too much emphasis here) story about her experiences with male prostitutes. If you haven’t been to an LDM yet, start following them, or reading their blog for updates. Whether writers or readers, you need this in your lives to see literature in totally new ways. On the 14th April, I joined Alt.Fiction to run a workshop on Literary Beginnings to introduce emergent and excluded writers to the form of literary fiction and how it can be explored with rule breaking to bring new insight to their writing. It was an inspiring day with old and newly made friends, and the workshop was warmly received by sixteen writers who took to the exercises immediately and shared insighful first drafts at the end of the session. I am currently continuing the creation of the Fruit Bruise Press Literary Development Programme towards the goal of further funding – hopefully some of the wonderful people I met at Alt. will be involved with the programme once it is up and running. Onwards to May, where I had the fortune to be part of the audience for the BBC Radio 4 recording of “8.51 to Brighton” by Brighton Pier Productions. The stories read were Along the Line by Alison Fisher, Anywhere Else by Tam Hoskyns and Housekeeping by Vanessa Gebbie, read by three brilliant actors, including Lesley Sharpe and James Fleeting. Make a note in your diaries as they will be aired on the 22nd July / 29th July / 5th August on BBC Radio 4. Following one great literary event to another, on the 7th May, BookSlam was given a new home for one night for the Brighton Festival. In a packed room within the Brighton Dome, the host Francesa Beard introduced us to experienced storytellers in Jackie Kay, Jon Mcgregor, and Sapphire, along side the wonderfully talented musician Andreya Triana. The lyrical nature of the varied accents within this performance reflected the importance of hearing literature aloud. The audience breathed for Sapphire as she turned her lines of poetry into song. All four performers left the audience with goosebumps; which is a common occurance for BookSlams. If you haven’t checked them out, they run monthly in London, normally the last Thursday of the month; more info on www.bookslam.com. Lastly, but no by any means least, I’d love to shout about the fantastic literacy programme, First Story. Over the past couple of months, I have been volunteering the time I can spare to copy edit for First Story. Working with their wonderful General Editor, Michael Bedo, and the resident authors, to help edit and pull together all the little details to show case the breath-taking, honest and distinctive collections of prose and poetry. Dive into these creations and support the next generation of writers: buy an anthology today. If you have any literary events or experiences you’d like to share – please feel free to jot your inspirations down below.